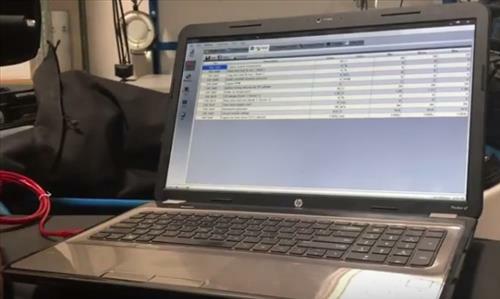 Scanning automotive codes on a laptop has advantages over many handheld scan tools. Handheld tools are great and work for the most part but can sometimes fall short. For example recently I was trying to diagnose a ABS light on a friends 2004 F150 with my cheap scan tool and it couldn’t find anything. I then took it to a local part store and they couldn’t find the problem either. Not wanting to admit defeat I began reading online and found the ScanTool 425801 scan tool for a PC. After looking at comparable options I thought I would try it out. It came with a OBD2 adapter that plugs into a USB port on a laptop, and software to diagnosis codes called OBDwiz. It found the bad code on the F150 which was the rear speed sensor. Keep in mind there are other scan tool options, such as using a smartphone or buying a good handheld tool. If you dont want to lug around a laptop, smartphone Bluetooth OBD2 adapters can also be a cheap option. One of the reasons a PC based solution can be better is the software and the ease of reading the interface. There are many free and paid for OBD2 diagnostic software that is constantly being updated. The larger screen on a laptop is in my opinon much better than any scan tool or smartphone not only for ease of reading but research. There is many good programs that can be used on a PC. After a code is found with a scan tool and it gives you an OBD2 code number, looking for information online is the next step. Looking information up quickly online with a laptop is much easier at least for me. Reading through forums and watching YouTube videos is just easier on the eyes when doing research. Of course this is a personal option and using a smartphone scan tool is just as cheap as a laptop scan tool. What works for me may not work for someone else so be sure to read other reviews for the best fit for you. I NEED AN OBD 2 I CAN USE ON MY LAP TOP TO PICK FAULT CODES ON MY CAR SAAB 9000. Am an Auto Electrician .i already have a good laptop now i need the best and affordable OBD to connect with laptop to scan auto electrical faults. These cables should come with your vehicle. Even if I had to configure a tuning system and GUI interface I would be willing to invest that time. Going to purchase cable to try and reset my throttle body. I just put a new one on my 2000 VW jetta and evidently it has to be aligned/reset through the ECM. Autozone no longer loans a fully functional tool and wants a $240 deposit to borrow…I told the guy if I had $240 to “loan” I would just go and buy one for $50…he said I didn’t understand, that I would get my money back…so I hung up. scantool.com has crippled their opensource software tools . They now offer there own and apparently changed code of earlier releases…. won’t find a working COM port now. Piss on them. Hi. I’m an automotive mechanic from Nigeria, I have a laptop with Windows 10; but I’m in search of a good automotive diagnostic software. Thanks! Pls. Iam An Auto Mechanic Living In Nigeria And Want To Start Auto Diag Business How Do I Go About? Eobd fáciles is a good software you may use it with an elm 327 adapter.